Aurora, Colorado, a somewhat unknown city (in comparison to popular Denver or Colorado Springs) in one of the most beautiful states in the world is actually the third most populous city in the state and surprisingly, one of the more populous cities in the entire country. Boasting the unparalled beauty of Colorado, Aurora claims rolling plains and stunning mountain scenery. Not far from Denver itself, Aurora is a serene home away from the more bustling tourist destination. However, Aurora is not boring in any way. 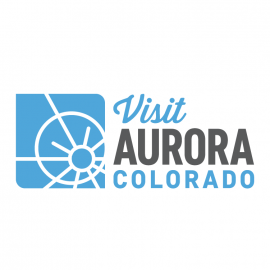 Full of culture and history, fine eateries, museums, music, art, and more, Aurora is a perfect place for each and every resident and visitor. Parks, libraries, golf, hiking and biking, and historic sights provide seemingly endless choices for a day out. Places of interest may be the Aurora Fox Art Center, the Aurora History Museum, the Aurora Symphony Orchestra, the Morrison Nature Center. or the Plains Conservation Center. Aurora also offers year round events to please people of all ages including Pumpkin Fest, Fourth of July Spectacular, and Trout Tournament. Truly, Aurora seems a worthy and beautiful sister city to Denver, Colorado, and a place that beckons visitors from around the country. With an endless stream of possibilities awaiting, Aurora will surely be a place where wonderful memories and vital refreshment takes place. We are the Colorado Brewery Running Series and we run for beer! Join us at Resolute Brewing on Saturday, May 11th @ 11AM for a 5k-ish course that starts and ends at this awesome brewery! TOP TACO IS COMING BACK TO STANLEY MARKETPLACE ON JUNE 27th! CAST YOUR VOTE AT THE SIXTH ANNUAL TOP TACO FESTIVAL, A CULINARY EXTRAVAGANZA LIKE NO OTHER!